The Sanitop is a macerator ideal for people looking to add a toilet and wash basin, recommended for new cloakroom installations. Sanitop is part of the domestic range from the industry leading manufacturer Saniflo. The unit is designed to sit unobtrusively behind the WC pan and in proximity to the basin. 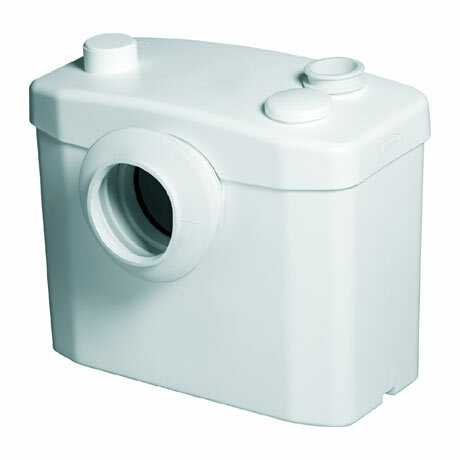 When the toilet is flushed or basin drained the Sanitop macerator activates to pump waste horizontally to a remote soil pipe up to 100 metres away. Sanitop can also be configured to pump waste vertically up to 5 metres if required.